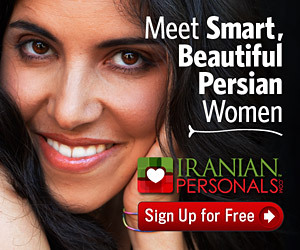 Some say that the largest concentration of Iranians outside of the country is in California. Katie Hill is running in California’s 25th congressional district that covers part of northern Los Angeles County and part of Ventura County. It includes the cities of Santa Clarita, Simi Valley, Palmdale, Lancaster and the northern part of the San Fernando Valley. She is 30, a first-time candidate, very smart, doesn’t take a penny from PACs and prioritizes people over politics. Her campaign is being called the most millennial campaign ever. She graduated California State University Northridge with a master’s degree in Public Administration. As the Executive Director of People Assisting the Homeless (PATH), she scaled the organization from a local non-profit to California’s largest provider (non-profit) of homes for the homeless. She lives on a rescue animal farm in Agua Dulce with her husband Kenny and their dogs, horses and baby goats. Katie’s mom is a registered nurse and her dad a police officer. I wanted to see what she had to say to the Iranian American community in her area. Interview below. Katie: Our Iranian American community is actually really large compared to other Californian Congressional Districts. Across the board, I’ve seen and heard that the members of the Iranian American community are sick of being divided for political gain. Across the board, I’ve seen and heard that the members of the Iranian American community are sick of being divided for political gain. Irandokht: Absolutely. Why do you think Iranians were included in the Muslim travel ban but citizens from other countries that committed a terrorist act on American soil were not? Why not just ban specific people that are thought to be terrorists and not countries? Katie: Separating families and banning entire countries and nationalities from traveling to our country is not something that is in line with our values as Americans. Travel and immigration policies must revolve around strong borders. Katie: I do not believe in inhumane policies which detain families with no plans for their release. I believe in border security. These are human beings seeking asylum and a better future for their children. America is the land of promise, and we should live up to that. Steve Knight authored a bill to spend $50 million on detaining families at the borders, effectively creating internment camps. If we have those resources, we need to be spending them on policies we know will work and on reuniting families. Irandokht: $50 million internment camps…these are crazy times. The gun violence in this country seems to be getting worse and not better. How are you going to help us keep guns out of our schools, movie theaters, etc.? As a lifelong gun owner, I’m ready to be a sensible voice in the debate around gun violence – nearly 40% of our district are gun owners and I believe that respecting the Second Amendment and advocating for gun safety measures are not mutually exclusive. In fact, that’s what a majority of gun owners themselves believe. We have to cut through the political rhetoric on this and work on passing policies that aren’t and shouldn’t be partisan, like background checks and making sure if you can’t buy a beer then you can’t buy a gun. We know if we expand California’s gun violence prevention laws on the national level, we will be able to stop many senseless deaths and injuries. Katie: Why do you think both democrats and republicans connect with your message? I’m not beholden to party politics and right now people want to know that their representatives are fighting for them – not special interests and not corporate America. I was raised by a Republican father and Democrat mother, and the conversations I had at the dinner table shaped the way I think about the world today. We have to have tough conversations and we have to listen to each other – I think the people of our district understand that I’m running because I want all of us at home to have a true voice in Washington. Irandokht: I love that one parent was a Republican and the other a Democrat. We definitely need to have the tough conversations rather than staying in our bubble. What do you think about Universal Healthcare? And pre-existing conditions? Katie: Our ability to defend our American values is dependent on a healthcare system that is affordable and accessible for everyone. It’s up to our government to ensure healthcare that protects all of us is there when we need it most. I worked on the Medicaid expansion that brought coverage to 13.5 million individuals in California and I will use that experience to get us to a system that works for everyone. We absolutely have to keep protections in place for the nearly 300,000 residents of our district with pre-existing conditions and the millions, nationwide. I am ready to fight to uphold and expand the Affordable Care Act and make sure that everyone has access to quality care that prioritizes patient safety and that doesn’t break the bank. Katie: I have a lot of problems with the way each party has served its constituents and I think in this political atmosphere it’s hard to get anything done because of partisan in-fighting. I am running a campaign that prioritizes the needs of my community and our country above any political labels and I would challenge each elected official to do the same – that’s the job. Irandokht: Well said. What is your message to Iranian American’s that shy away from getting involved in politics and don’t vote because they feel their vote doesn’t make a difference? Katie: Specifically, for Iranian Americans in our district, your vote has never been more important. The Iranian American community plays a very important role in the success of California and the United States. Together, we have the ability to make much more tangible change in our community than in any Presidential election and that’s because all eyes are on us, right now. Every single vote is crucial, and every single voice deserves to be heard. Please get to know your candidates and vote.